Once the latest cardigan project was off the needles, I picked up a little shawl project I had set aside prior to the end-of-year holidays. I have also departed from my normal working style and am forcing myself to be a monogamous knitter until this project is complete. Why? Because I know enough about myself and this project to know that it would always take a back seat to whatever else I have on the needles. In other words, it would never get finished. Why not? What makes this project so darned unappealing? Nothing. Really. Nothing is wrong with this project. The yarn is lovely. The pattern is interesting and easy at the same time. The fabric will be beautiful when washed and blocked. There is a clear purpose at the end of this adventure. 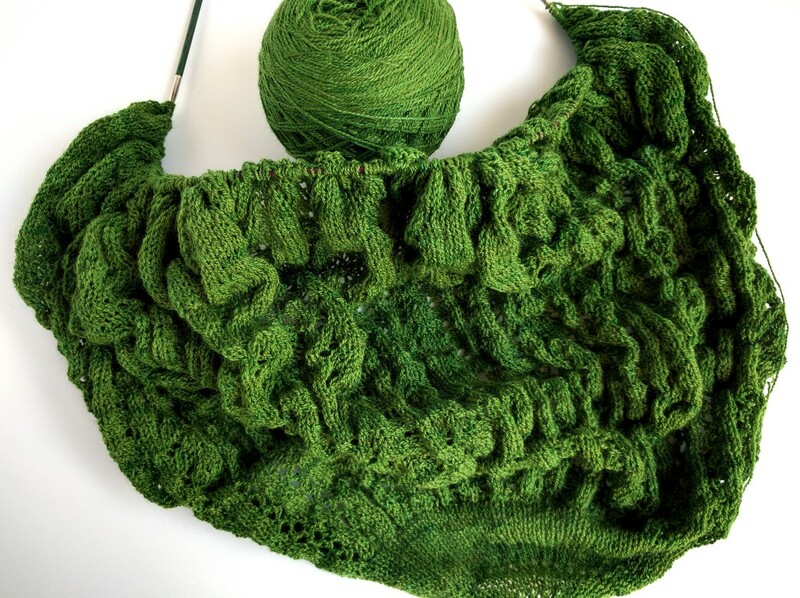 And yet… I must admit that I’d rather be working on the next sweater in the queue. Which is why I’m not allowing myself to cast on for said sweater. I will finish this shawl. And I will finish it before the spring flowers bloom. I’d better get back to work then. 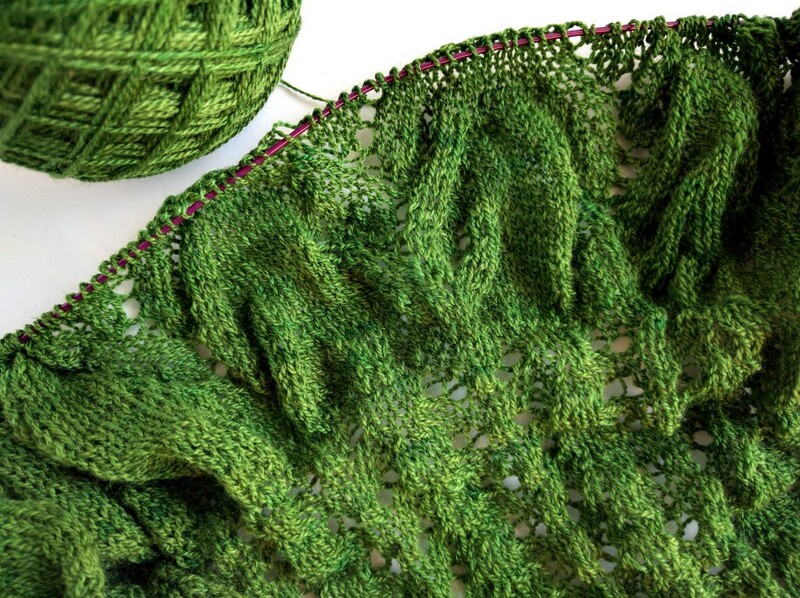 Those next 100 rows (or something that feels like that quantity) aren’t going to knit themselves. This entry was posted in Knitting and tagged creativity, design, knitting, lace, shawl, spring, wool. Bookmark the permalink.